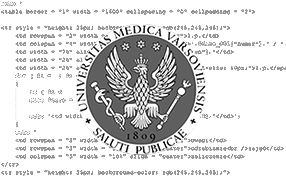 Created and developed for Medical University in Warsaw. Created with PHP and MySQL. The first version was created in 2008 and then is was developed. The System helps students to choose training class and helps teachers to manage students data. Is is divided into 3 panels: for students, for teachers and for the main administrator. It is very elastic and contains many options to manage the data. ©2009-2019. Copyright by Mateusz Staniszew. All rights reserved.